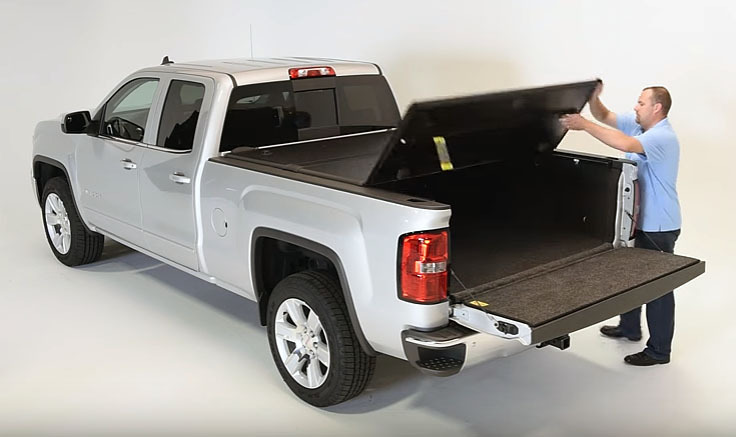 With its all-new OEM matte finish, the 62445 EnCore tonneau cover for 2014–2016 Sierra/Silverado 1500 from Extang possesses a high-end, straight-from-the-factory look. 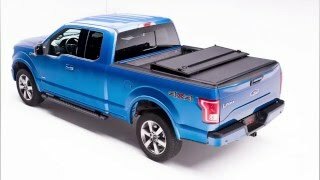 The finish matches the plastic grain of the bed rail caps, creating a complementary, cohesive relationship between the truck and the truck bed cover. The EnCore is a low-profile, hard-panel tri-fold that offers easy access from both the front and the rear of your pickup. It’s also self-positioning and self-latching for ease of installation and added security, respectively. Engineered rear latches lock the cover at the tailgate, while supplemental tethers secure it to the side rails. The wide-opening front panel provides glorious front bed access, and can be locked with your ignition key via one-key lock technology courtesy of BOLT. TPO-covered polypropylene is a superior alternative to standard aluminum panels, as they resist dents and scratches, are cooler to the touch on hot days, and won’t suffer sunlight fading. Extang’s newest incarnation of EnCore also features an all-new flex-hinge system that’s ultra strong and water resistant. Polypropylene core with a thermoplastic olefin skin. Resists scratches, dents, and fading. OEM matte finish to match bed rail grain. Three-year warranty against defective materials or workmanship on rails, aluminum components, clamps, bows, and hardware. The Flash E Series ball mount from Fastway offers not only lightning-quick adjustments but also stunning good looks. 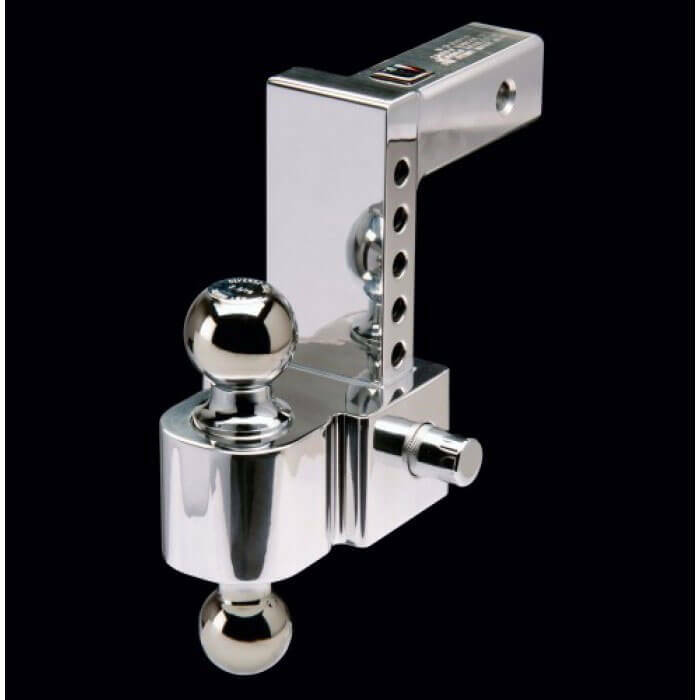 Each Flash ball mount is precision-machined from aircraft-grade aluminum, making it stronger and longer lasting than other aluminum ball mounts, and its hand-polished, mirror finish easily outshines the competition. The best-looking pin-style ball mount you can buy, the E Series features adjustable heights and dual hitch balls, making trailer change-overs a breeze. And with its 1,000-lb. max tongue weight and 10,000-lb. max trailer weight, Fastway’s E Series is up for a wide variety of towing adventures. Fast and easy adjustments save you time and effort. Polished aluminum lets you tow in style. Precision machined for strength and durability. Aircraft-grade aluminum provides outstanding corrosion resistance and performance. 1,000 lb. max tongue wt. / 10,000 lb. max trailer wt. 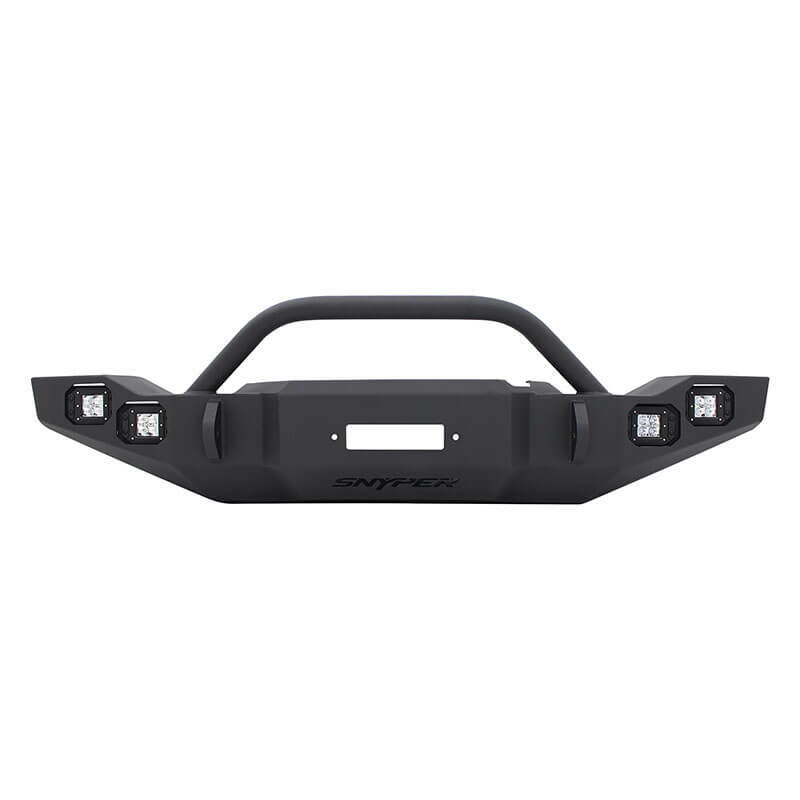 The one-piece Snyper Marksman (59-9525-12JKB5; textured black finish) from Westin Automotive is two rough and rugged products in one: a full-width off-road winch bumper with welded bull bar for Jeep Wrangler JK. Constructed from 7-gauge steel and predrilled for winches up to 10.25” tall with 8–12K capacities, the Snyper Marksman boasts an aggressive, chiseled design that looks and performs like a champ. This product includes four openings for flush-mount LED auxiliary lights, 1” thick shackle mounts, and a laser-cut Snyper logo, and is backed by Westin’s 1-year warranty on finish and limited lifetime warranty on workmanship. Front winch bumper with welded bull bar for Jeep Wrangler JK. One-piece, 7-gauge steel construction with laser-cut Snyper logo. Accommodates most medium-frame 8,000–12,000 lb. winches up to 10-1/4” tall. Predrilled for winch and fairlead mounting. Fits most (4) flush-mount auxiliary lights. Includes 1” thick HD shackle mounts. Mounting brackets mount directly to frame. Limited lifetime warranty on workmanship; 1-year warranty on finish. 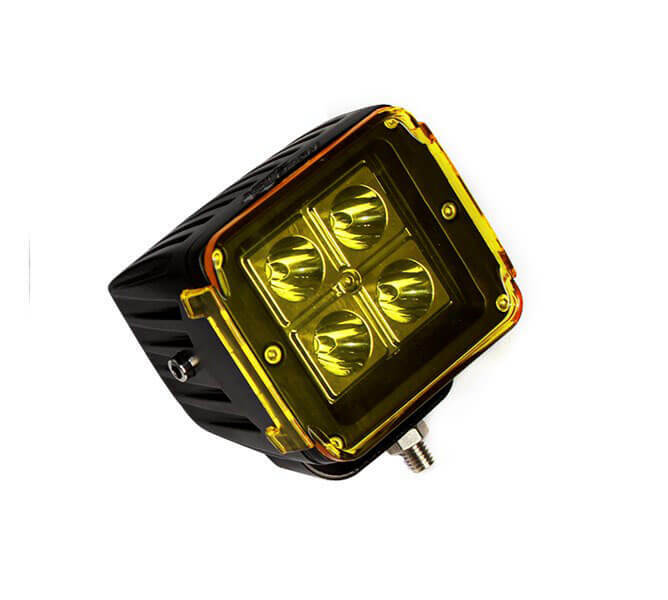 With combination Spot and Flood optics, this 3” LED light cube from Race Sport provides versatile illumination on a variety of applications, from winch bars and off-road vehicles to tow trucks and more! The RS-4L-3X316W features 50,000-hour, 16W, high-power LEDs that emit 6,500K color. Even better, this product comes with a free amber cover option. Built to last, this light is backed by Race Sport’s 1-year limited warranty. 3” × 3” durable cube housing. 6,500-Kelvin color with free amber cover. <p>With combination Spot and Flood optics, this 3” LED light cube from Race Sport provides versatile illumination on a variety of applications, from winch bars and off-road vehicles to tow trucks and more! Come inside the Total Truck garage as we take you through the installation of some of today’s hottest truck accessories. 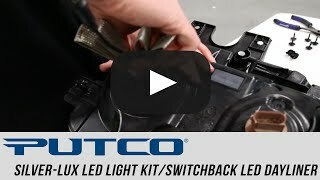 In this episode, we improve the overall visability of a 2015 Ford F-250 by installing the Silver-Lux LED Kit and SwitchBack LED DayLiner. 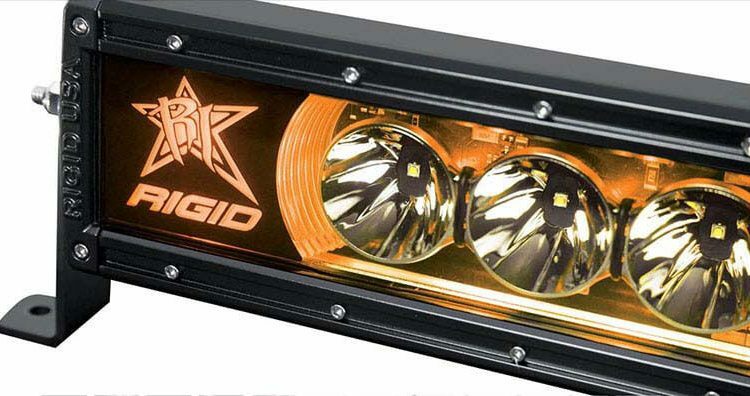 Available with backlighting in five colors (white, blue, red, green, amber) and lengths ( 10”, 20”, 30”, 40”, 50”), the Radiance light bar from Rigid Industries is the perfect solution for those who want Rigid’s legendary quality at a level everyone can attain. The Radiance is built with the same high-grade aluminum alloy housing as Rigid’s legendary E-Series, but that’s where the visual similarities end. Inside, the Radiance is feature-packed, with a black exposed printed circuit board and optimized forward-projecting Broad Spot optics that combine the attributes of spot and flood beam patterns. Large backlit Rigid branding plates further add to the unique look of the Radiance. Radiance is for the customer who wants a truly custom look that only Rigid can provide. 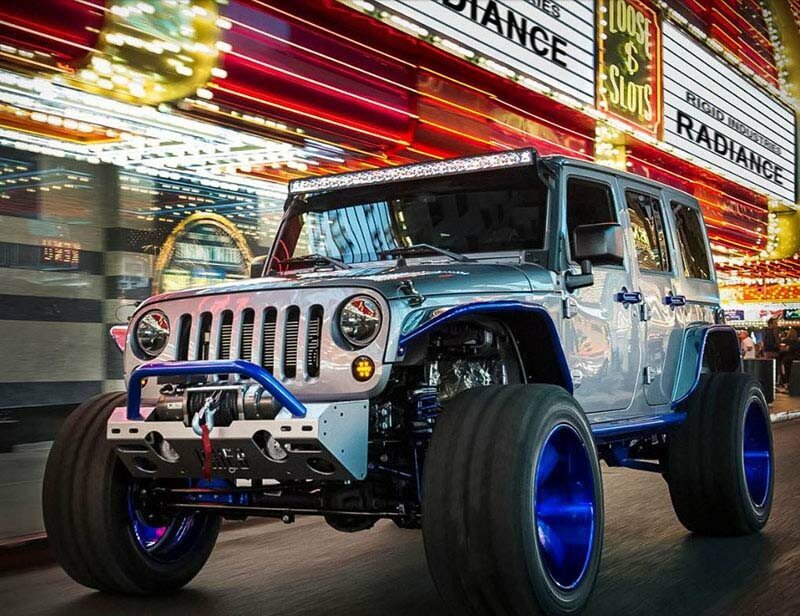 Radiance is the perfect entry into Rigid Industries’ performance LED lighting! Available in 5 backlight colors: white, blue, red, green & amber. Available in 5 lengths: 10–50”. High-grade aluminum alloy housing and heat sink. Dedicated wire to run backlighting without primary LEDs. Available multi-switch wiring harness (sold separately). When you have a monster of a truck, you need monster-of-a-truck mud flaps. The new KickBack™ mud flaps from Husky Liners boast an 18-gauge steel bracket that sets the mud flap back to make room for your insanely huge tires—giving you extreme protection and clearance. Constructed from Husky Liners’ durable AntiSpray™ material and your choice of 14-gauge laser-cut stainless steel or textured black matte anchor weights, the easy-to-install KickBacks will protect your beast from the rage of the road. Rugged AntiSpray™ material and 18-gauge stainless steel brackets. 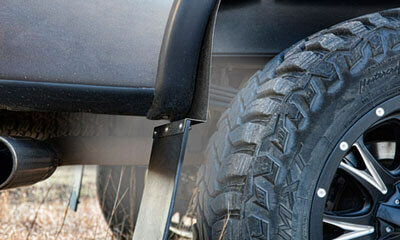 Offset mounting brackets accommodate larger tires. Available in 12” and 14” options to cover wider surfaces. Proprietary Micro-Grooves™ funnel muck back to the road. 14-gauge anchor weights provide perfect balance, weight, and positioning. Two anchor weight finishes available: shiny mirror or matte black. Carries the famous Husky Liners “guaranteed for life” warranty! 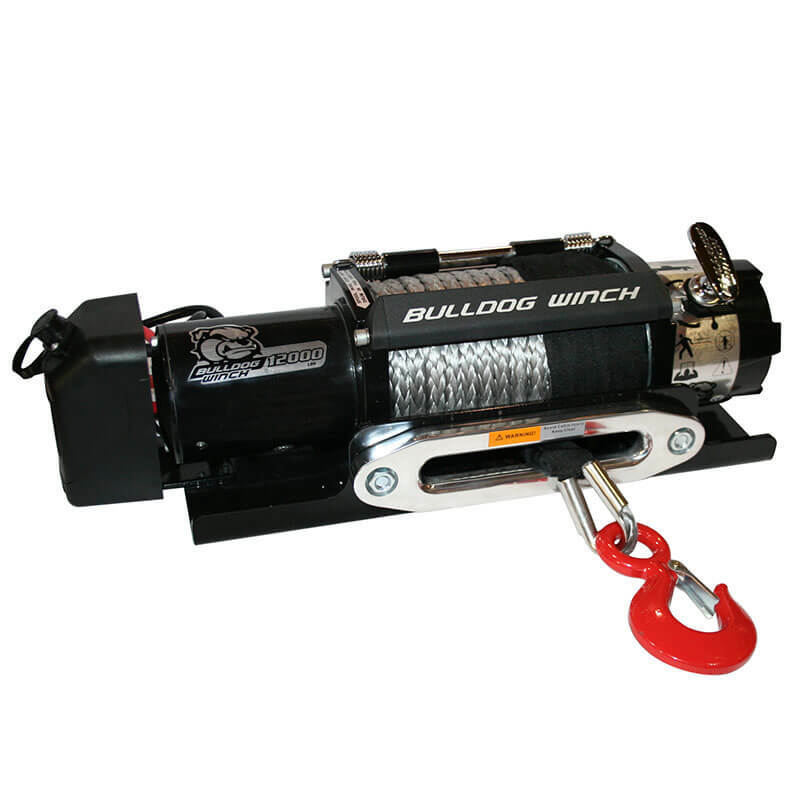 10040 is the synthetic version of one of Bulldog Winch’s newest products. It features a CNC-machined aluminum hawse fairlead, mounting plate, power unit, a freespooling clutch for quick rope deployment, and a heavy-duty chassis and gearbox to handle the toughest pulls. Bulldog Winch also incorporated an automatic load-holding brake and a spring-loaded tensioner into the low-profile design for easy rope handling. A wired and wireless controller, 12,000-lb. rating, and 100 feet of 9 mm synthetic rope round out the features. 9 mm × 100’ synthetic rope. Low-profile, heavy-duty chassis and gearbox. Mounting plate, power unit, and wired/wireless controller. 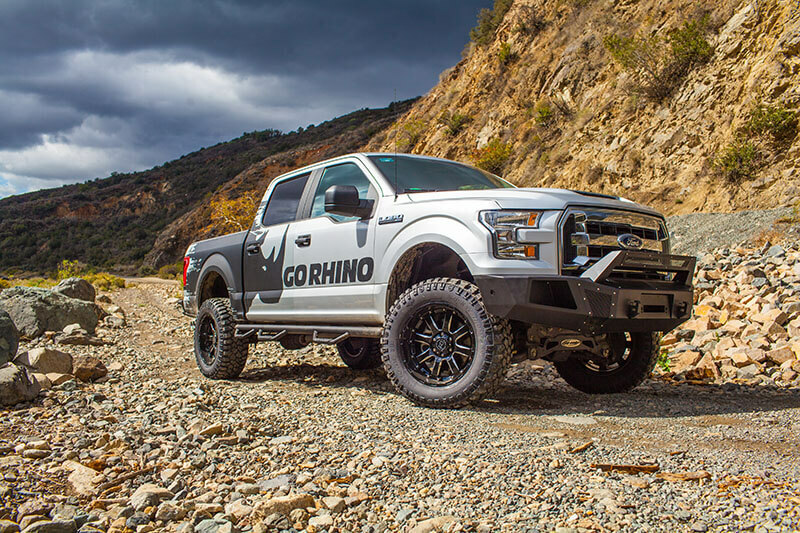 The BR5 Front Bumper Replacement for the 2015–2016 Ford F-150 from Go Rhino is constructed from two-piece welded steel (bumper shell and mounting plate/winch tray). Able to accommodate winches rated up to 12,500 lb., the 24295T features integrated light ports and heavy-duty D-shackle mounts that are mounted directly to the frame rails for extra strength. A durable black textured powdercoat and 5-year warranty give you peace of mind after the purchase. 1” steel D-shackle mounting clevis (shackles not included). 5K winch capacity, with framed mesh vent cover for proper airflow (winch not included). Functional, removable steel mesh covers add protective airflow to winch (winch not included). Light bar and 3″ × 3″ light mounts available (sold separately). Frame-mounted for optimal strength; no-drill installation! Fit 2- and 4-wheel drive models and Ecoboost models; will not fit models with Active Park Assist or Adaptive Cruise Control. Come inside the Total Truck garage as we take you through the installation of some of today’s hottest truck accessories. 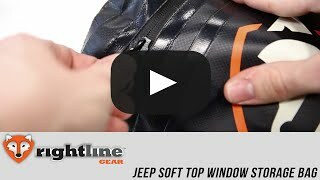 In this episode, we check out a very versatile storage option for the windows on our 2016 Jeep Wrangler Unlimited Sport Edition.